Thanks , it worked . 1000 , 114 were the values . Thank you for your work improving the AH widescreen gui! 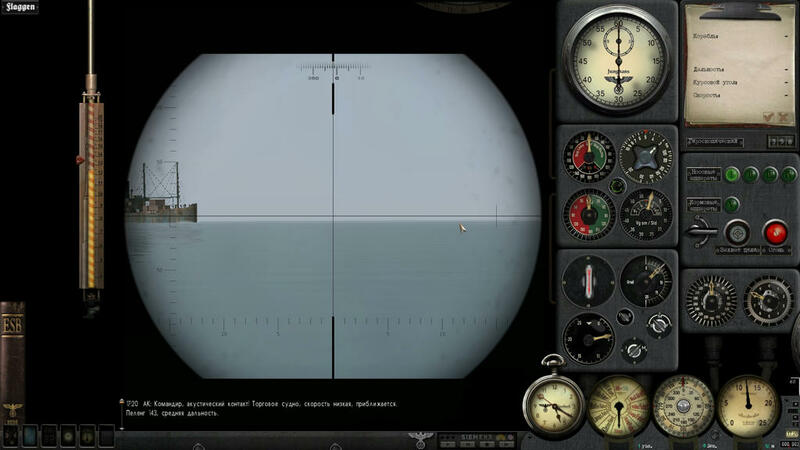 Can you fix the broken tube selection dial on the attack periscope and uzo? On the Attack Map screen, toggling the salvo selector between T and S changes the tube dial from single tubes to salvo modes. This is good. However, on the uzo and attack periscope, this doesn't happen, and the tube dial is not functional. This is bad. This is particularly important since changing tubes with that dial is the only way I know of to keep the tubes from closing themselves. Has anything been done, or can be done about this problem? The same problem occurs with Ahnnerbe wide screen mod. German characters such as Ä, Ö, ß etc. get displayed wrong. Any idea what causes this? first of all, I'm considering the ARB WideGui 1920x1080 mod for my installs. All of which are GWX 3.0. I do have a few questions for you guys. 1. The readme says to place the ARB WideGui v0.3, 1920x1080 directly into the SH III game folder. Can I activate this mod via JSGME instead, just like the ARB WideGui Hotfix v0.3.1 which is activated via JSGME ? 2. What does the optional mod "Adaptation for English & Deutsch" do ? I couldn't find anything on this in the Readme's. 3. I'm pretty bad at ID'ing ships, will I have Weapons Officer assistance for this, or is this 100% manual ? I will use the TychoSH3Patch v3, I'm good there and understand how to do that. 1) Sorry, I installed mine directly into SH3. Worked fine with GWX. Don't know why it wouldnt work though (except for maybe the resolution fix). Try it. I resume the development of ARB WideGui 1920x1080! Last year I almost finished realistic optics. It is not 100% realistic, but now a realistic viewing angle and a more realistic grid than it was before. 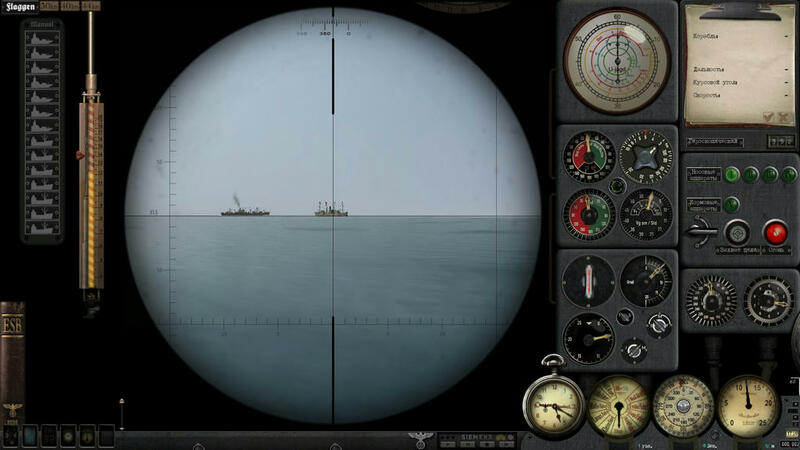 At the moment, completely ready Attack Periscope, OBS Periscope. It remains to make UZO and binoculars. Also in the plans to correct some errors and add innovations that were published in this topic. I can not say the release date because I haven't done a mod for a long time and I need to remember what was done before. It's been 10 months since I last developed the mod. In the process of creation, I will publish screenshots of the completed stages. What would you like to see in the next version of the mod? What errors were found? Hi , good to have you back ! For things do be done in the future , I remember we discussed something about the attack map night filter, it's somewhere in the topic . Can't wait for the new optics . Unfortunately, it is impossible to turn on/off the night filter when changing day and night on the attack map. You can add a filter to the attack map but will not turn on/off when changing day and night. I am thinking of making a little red light on the attack map for 24 hours. Maybe Tycho can find a way to turn on/off the night filter on the attack map because I think we need to edit the sh3.exe. Last edited by Brodaga222; 04-22-2019 at 04:49 AM. Yes, we just need an attack map that has a permanent " evening " filter like the night map in original Ahnenerbe mod , that's all .